It’s almost pointless to do a roundup for this week because there really was just one story – the death of Steve Jobs. 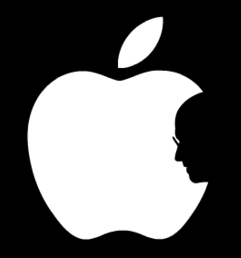 There have been hundreds of pieces written in the past few days reflecting on the life of Steve Jobs and the impact that he had on so many of us. Here’s a small fraction of the remembrances & reactions to the passing of a great man whose impact will be felt for many, many years. It feels like a month ago, but it was just earlier this week that Apple announced the iPhone 4S earlier this week. I posted a roundup of links from that event. The 4S will be on sale in stores at 8 am on October 14th and you can pre-order it now. Is Arrested Development coming back for another season and a movie? Salon.com says: Please don’t bring it back. Sign of a bubble? Bravo has started casting for a reality show based in Silicon Valley. The Yankees and Phillies are eliminated from the MLB playoffs. Remaining teams: Rangers, Tigers, Cardinals, Brewers. Incredibly, Phillies first baseman Ryan Howard tears his achilles tendon when he makes the last out of the game. The Raiders get an emotional win over the Houston Texans. The 49ers are for real. They destroy Tampa Bay 48-3. Three TD passes for Alex Smith. The Niners haven’t scored this many points in a game since December, 2003.